Lagoon Cantina is a casual poolside restaurant serving Caribbean and Mexican bites and Tropical drinks. Located at Marriott Singer Island, I typically order from Cantina when I’m visiting the resort’s SiSpa (highly recommend). The menu is fairly simple with a handful of appetizers like Ceviche Margarita, Quesadillas, and Loaded Nachos. They have a couple of salads to choose from including the heavily decorated Taco Salad with ground beef, pico de gallo, refried beans, jalepenos, sour cream, guacamole, queso fresco and avocado-lime dressing (whew!) served up in a crispy flour tortilla bowl. This is no low-cal salad, so prepare yourself. 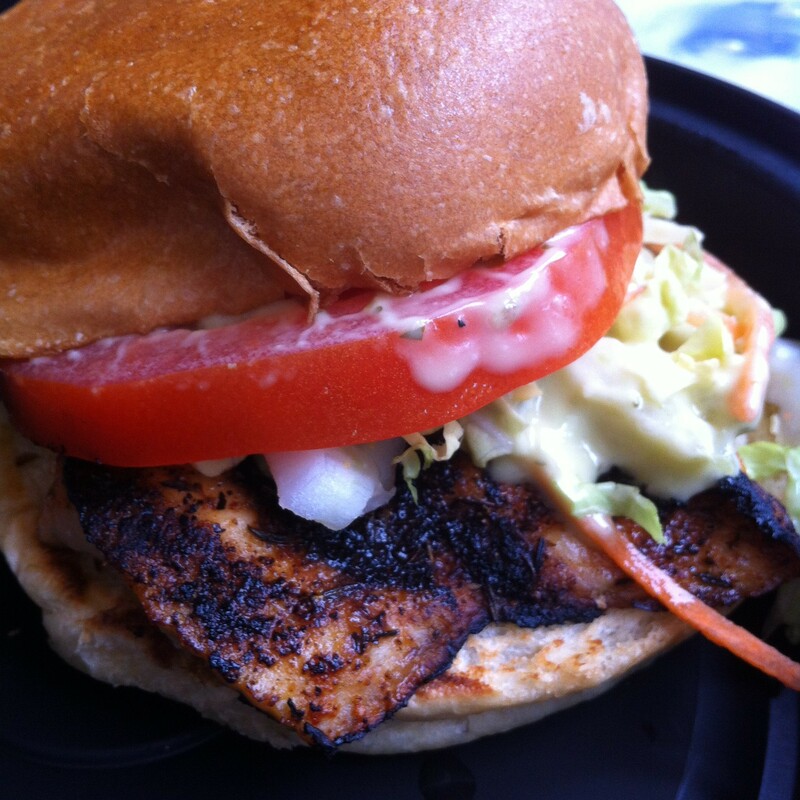 My usual is the Blackened Fish Sandwich with mahi, tomato, a Mexican slaw and topped with a cilantro-jalepeno mayo. I normally eat almost any sandwich I order off the bun, but theirs is pretty tasty so it actually gets put to use. The fish has a thick layer of seasoning and the slaw and mayo help offset the heat. The slaw also gives the sandwich a nice crunch for some texture. It’s a little messy, but totally worth it. They have a small selection of sides including an entree-size Side Salad, fruit salad, etc. Their drink menu is a little more exciting with speciality cocktails, margaritas and frozen drinks. Their signature drink is the Coconut Island Breeze which is served in a freshly cracked coconut. It’s a great spot for lunch if you’re visiting the resort or spa. At the spa, you can place an order which they’ll bring to you by the jacuzzi between services or pop up to the pool deck for lunch by the lagoon or at the bar. Cristyle is a South Florida native, born in Miami and raised in Palm Beach. Her love of food came through her travels and seeing how cuisines differ and relate so much. She attended the University of Florida, had a short stint in Charlotte, NC and is now back home - ready to eat her way through Palm Beach County and share her findings with locals and visitors alike. From brunch to happy hour to foodie events, she's got you covered!